Several regulators and government agencies renewed their attention on servicing issues. Last month, Clarifire gave servicers a heads up to keep an eye out for tougher Ginnie Mae scrutiny. Ginnie Mae hinted at new standards, tougher evaluations, policy changes and credit ratings in the works. 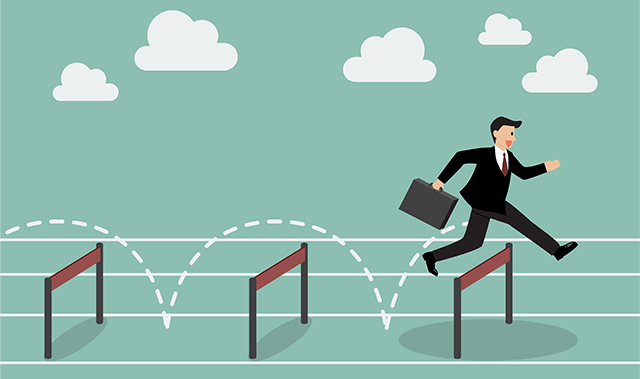 In 2019, Ginnie Mae is likely to finalize policy updates aimed at bolstering the liquidity of its mortgage-backed securities (MBS) program. If this happens, new and existing servicers working with Ginnie Mae will be called upon to validate a higher level of internal compliance and requirements management, while standing ready to roll out policy updates on demand. The Federal Deposit Insurance Corporation (FDIC) raised similar concerns with the rise of nonbank servicers. FDIC Chairman Jelena McWilliams said the agency is carefully monitoring areas of emerging risk. Recognizing that not all nonbank servicers are prepared to handle the implications of expanded oversight from multiple agencies, Clarifire outlined what this could mean for servicers. Clarifire highlighted common servicer errors identified by the Consumer Financial Protection Bureau’s (CFPB) Supervisory Highlights report. CFPB examiners found that several mortgage servicers failed to appropriately convert trial modifications to permanent modifications. While the underlying causes of servicer errors can vary, the CFPB called out underdeveloped internal operational policies and servicer claims of insufficient staffing, underscoring the importance of clearly defined workflow coupled with a robust automated workflow application, as well as careful resource management and training. Clarifire also tracked policy changes and new developments that could impact servicers in 2018 and 2019. Successors in interest provisions took effect last year. 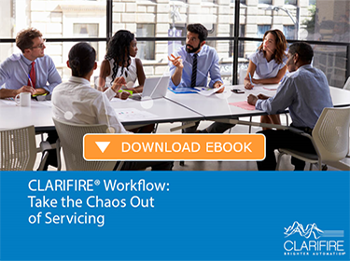 Clarifire explained why it was imperative that servicers understand expanded compliance responsibilities in order to avoid costly errors uncovered in regulatory supervision. Factors outside of servicing policy and supervision can have a similarly significant impact on servicer operations. Clarifire asked servicers if their shop is prepared for a rising interest rate environment. Going into 2019, experts anticipate continued rate hikes, causing the average 30-year fixed-rate mortgage to potentially hold above the 5% threshold. Servicers have operated in unprecedented low interest rates for years. In a competitive economy and rising rate environment, the rules of the game are subject to change. Already overburdened by recovering from the economic crisis, ongoing regulatory change, servicing platforms and operational processes are still relatively ill-equipped to support volatility in delinquencies and investor/government loan default programs. Clarifire flagged all of these areas last year and will continue to monitor issues that answer key questions and concerns for loan servicers, with upcoming blogs that tackle various challenges, such as, managing servicing processes to meet regulatory policy change at the hands of new agency leadership, and other specific guideline changes that impact servicers operationally. Additionally, Clarifire will build on our analysis of the myriad of disaster modification changes by taking an insightful look at how borrowers and servicers are impacted in the disaster recovery phase. Mitigate risk and create continuous process improvement by partnering with Clarifire. See how to integrate change at the core of your organization with the CLARIFIRE® platform, by leveraging flexibility and automation to create and modify rules, call out exceptions, and drive compliance with multi-faceted policies. Our focus is on workflow and complex rule management as a resource that ensures readiness for the challenges facing servicers yesterday, today and tomorrow. Clarifire continues to offer insightful thought leadership and sophisticated solutions to industry issues. Visit eClarifire.com today, or contact us directly at 866.222.3370.